You can't change your date of birth, but you can alter your physiological age. By adjusting weight, reshaping your body, regaining flexibility, and improving muscle tone, blood circulation, digestion, elimination and metabolism you can literally grow younger. The Ageless Yoga classes employ techniques from ancient India, China and Tibet to help rejuvenate your body and are suitable for adults of all ages, but especially for those who want to look and feel younger and maintain or recapture the vitality of youth. Beginners are welcome at all sessions. There are Ageless Yoga classes around the eastern suburbs of Adelaide in Toorak Gardens, Walkerville, and Athelstone. Sign up for a free trial class now. Click here or on Classes on the above menu to view the current Adelaide Ageless Yoga Classes timetable. 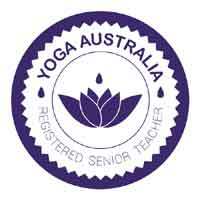 Terry McGuire facilitates all Adelaide Ageless Yoga classes. Terry first started practising Yoga over forty years ago with Bette Calman and her master Swami Karmananda (Michael Volin), who was the first person to open a Yoga school in Australia in the mid 1950s. Terry is a registered senior teacher with Yoga Australia, a certified teacher with the International Yoga Teachers' Association, Yoga Teachers Institute of SA and Swami Sarasvati's Australian Yoga Master's Association and also holds a Bachelor of Education degree.